Vaporwave is derivative. This weird music genre, a unique aesthetic product which could only have ignited on the web, is based largely on derivative material. It consists mostly of sampled 80s tunes, videogame sound bites, and retro computer sound effects. I would forgive you for thinking Vaporwave is a joke because, in a way it is. At the same time, it is very serious. It exists in this in-between state because Vaporwave cannot be pinned upon the dualities of “trivial” and “serious art”. Vaporwave is a genre that at its very core obscures the notions of high art and low art, and presents reality through an equivocal lens. ... as do the non-dualistic teachings of Zen Buddhism. The vaporwave aesthetic borrows many sound and visual elements from Japanese culture, both modern and historic, so it should come as no surprise that it should have some overlap with the aesthetic of zen. Zen writer D. T. Suzuki points out that the Buddhist zen aesthetic has, since its introduction to Japan in the 12th century, influenced almost every aspect of Japanese culture, from its tea ceremonies to its architecture. Zen has even come to influence Japanese popular culture. Today, the long arms of zen have reached far beyond the shores of Japan and have come to plant their influence in the creative life of the western world. Vaporwave is one manifestation. While the essence of zen is certainly not limited to its aesthetics, it is through the creative works created by those who practice and experience zen that we see something of its power. Zen is not the same as zen aesthetics, seeing that zen art is merely the creative manifestation of those who have experienced zen, and of those who have experienced said manifestations second-hand. It's like if you never drank mango juice before, but you read a lot about it – nothing compares to the actual tasting of mango juice, but you can still get an idea of it from other people who have. This second-hand knowledge has produced an aesthetic which has developed around zen, and which is worth examining since it can teach us something about the exchange between eastern and western culture, if not hint at the spiritual life of zen. 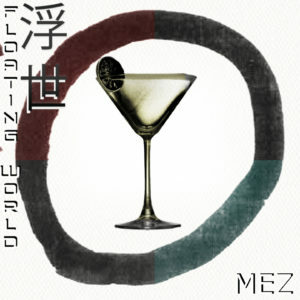 The world of vaporwave is similar to the world of zen. They both feature an aesthetic which focuses on the present moment. They both treat the elements of the world equivocally. They both produce a dream-like feeling of oneness with reality. They both emphasize the transience of reality. Much of vaporwave's aesthetic is based on an obsession with retro, nostalgia culture, but this does not seem to me like nostalgia for its own sake. Vaporwave does not pine for the old days and it is under no illusion that the past was somehow superior. 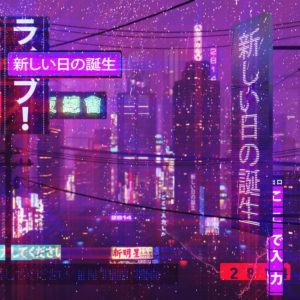 Vaporwave rather focuses on nostalgic symbols, like gamboys, retro anime, and 80s fashion, because of their comparable strangeness, and because of the utopian quality the distance of time gives them. 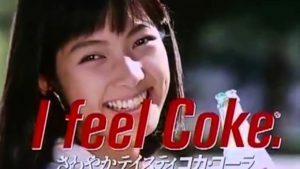 Vaporwave capitalizes on the utopian vision presented in commercials of the 80s, and translates them from a backdrop of corporate greed to one of worldly ecstasy. Like zen, vaporwave is a vision of intense focus on the simple bliss of the present. 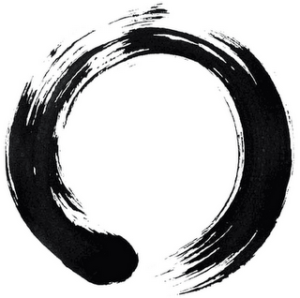 Zen is intimately connected with the Japanese aesthetic of wabi-sabi. Wab-sabi is an aesthetic concept in traditional Japanese culture that describes the appreciation of that which is imperfect and transient. The concept has been used throughout Japanese history in the construction of architecture, pottery, painting, poetry, etc,. You can recognize wabi-sabi in the imperfect line art of haiku masters like Basho and Hakuin, and even in the asymmetrical meter of the haiku form itself, which traditionally, in the original language, consists of a 5-7-5 syllable pattern. Traces of the wabi-sabi aesthetic are found everywhere in the vaporwave works. Again, the influence of Japanese culture becomes apparent. You can hear echoes of wabi-sabi in Vaporwave's lo-fi, grainy distortion, and blocky 3-D models. I'll Try Living Like This by Death's Dynamic Shroud.wmv epitomizes wabi-sabi. The mixes in the album, constructed from various sound sources, many of which are K-pop albums, are charmingly lo-fi. There is an air of amateurishness to the whole album, an unabashed celebration of imperfection. Esprit's Virtua.zip is another great example of imperfection being used as an aesthetic advantage. From the warbly vibrato meant to imitate the distortion of old vinyl records, to the imprecise mixes with jagged high end and bloated bass, Virtua.zip also celebrates imperfection, posing as a beautiful and dreamy anonymous artifact of internet culture. An important aspect of Vaporwave to note is that it isn't entirely a plunderphonic genre – that is, it's not entirely made from samples. This variant of the genre is far less derivative in its material used, but still borrows from antiquated aesthetics. There are excellent albums out there consisting almost entirely of original material that are nevertheless labelled as Vaporwave, such as Esprit's Virtua.zip and Eyeliner's new age influenced BUY NOW. 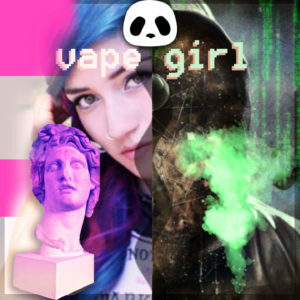 Beyond the realm of auditory aesthetics, zen and vaporwave is a major theme in H0lyswagg's 2016 novel Vape Girl which describes the adventures of the Bodhisattva-like Swaggy and her zen master / lover Lord_Mu. The characters are both pracitioners of zen, and the spontaneous flow of the text and irreverent conflation of wisdom and intellectual simplicity echoes the intuitive works of zen artists like Basho and Hakuin. ascended 2 the next level. it's like he did 10 level ups since Swaggy went shopping, U can see it N his eyes/ he's way beyond unfollowing ppl on twitter. he like unfollowed his own ego. Though vaporwave attempts to capture a Utopian feeling, this utopia is not a biblical depiction of sacred gloom. Rather, vaporwave's heaven is flawed, lo-fi, grainy, and filled with cheesy fashion and technological glitches. 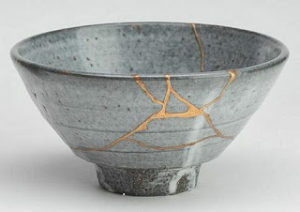 But this is the imperfection of wabi-sabi. We are brought back into the everyday banality of technology and physical imperfections, which comprise the material of actual everyday life and which is also the main preoccupation in the discipline of zen. Zen, much like vaporwave, concerns itself with the material world and our direct circumstances in it. Many vaporwave track titles hint at a unique kind of technological poetry that are reminiscent of the mundane haiku of Japan's old zen masters. We deal with the facts of life in an age of technology, with titles like “B:/ Startup”, and “Dreamcast” appearing whimsical with the poetic distance of time. 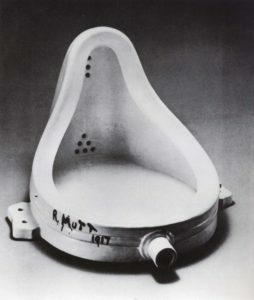 Esprit gives his tracks titles like “gameover.wav” and “select.wav”, evoking the unceremonious, everyday experience of playing videogames, now given poetic import through context, like with Marcel Duchamp's famous upside-down urinal given context in a gallery. Vaporwave, in my mind, is a distant descendent of Zen Buddhism as it is practised in Japan. Though it now wears the clothes of 8os television adverts and antiquated videogames, the same attitudes that assimilated into Japanese culture in the early 12th century through zen are appearing in Vaporwave here in the early 21st century. And perhaps our world is better for it, or whatever small segment of the world has been exposed to Vaporwave. 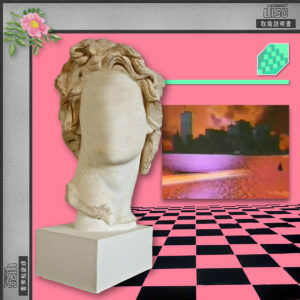 The non-dualistic nature of Vaporwave discourages narrow-mindedness and egotistical illusions, and instead encourages a wider embrace of all ideas and possibilities. The varied demographics attracted to Vaporwave's chill attitude are a testament to this, from new age thinkers and goths to hip hop artists and LGBTQ. Just like zen, Vaporwave's inclusive mindset does not exclude, because its aesthetic concentration isn't placed so much on our worldly circumstances, but on the content of the soul.